In preparation for memorial at Pine Forest Baptist Church tomorrow, flags were distributed to remember veterans. 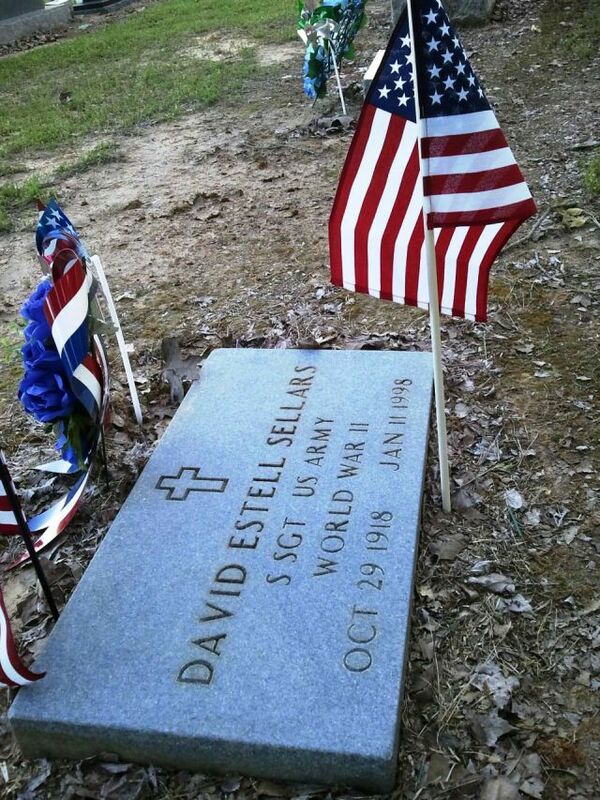 Flags were placed on the graves of David Estell Sellars, Charles Ivan Hancock, William Rex May, Woodie Tharp, William Ivan Peacock and William Russell Hazzard. Additional flags are on hand for veterans who do not have military markers. Special thanks to the Joe H. Moorehead VFW Post 3806 for the donation of the flags in remembrance of those who have served.